Textile sac Certified D.O. 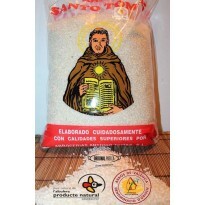 (Denominación de Origen) from Valencia Natural product with Bahia and Senia varieties produced at the Albufera Natural Park Round short rice with great absorptive capacity Enough to serve approximately 10-13 main course. 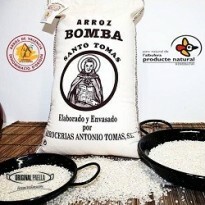 Textile sac Bomba rice Certified D.O. (Denominación de Origen) from Valencia Natural product produced at the Albufera Natural Park Great capacity to absorb flavours and aromas Enough to serve approximately 10-13 main course. 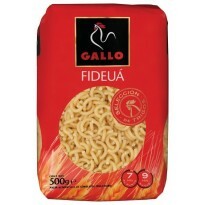 Commercial Presentation Certified D.O. 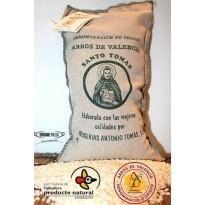 (Denominación de Origen) from Valencia Natural product with Bahia and Senia varieties produced at the Albufera Natural Park Round short rice with great absorptive capacity Enough to serve approximately 50-60 main course. 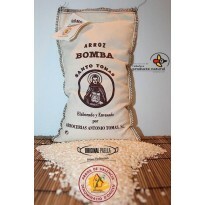 Textile sac Bomba rice Certified D.O. (Denominación de Origen) from Valencia Natural product produced at the Albufera Natural Park Great capacity to absorb flavours and aromas Enough to serve approximately 50-60 main course.